How it wiil be implemented, via sensor redout speed, DR from sensor, or combining expositions. Good to see new tech from canon. HDR is not a problem. Most current problems are speed related - sensor being main hurdle, plus LSI and mobile memory, as well as SD cards. You need enough speed and proper design to read whole sensor at 120fps, debayer it, resize, compress and write it all to SD. Speed its always a problem. But being a CMOS it kind of proccess all that natively, the problem i see is more compress and write to SD problem, mainly for LSI wich often dont bing up a proper links. If a comon canon LSI could run direct interconect between their chips, or maybe bringing up some SoC chips of lates generation, i see no problem in trasfer speed in LSI. I really think this is a tech that will bring lots of good stuff for end users. Like F1 cars. i would pay to have a low light sensor like this at 720p 60p, even 24p. 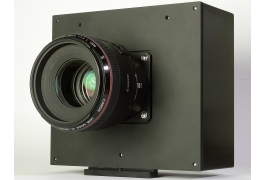 @endotoxic I agree canon is close to their HDR video sensor. H265 codec will make 4k cameras possible with lower data rate, so 3840x2160 sensors will make sense in near future for affordable cinema cameras. I think read speed will not be a problem because if the sensor can do 4k at 60p they will can do two 1920 x 2160 or 1920x1080 at 24p or 30p (half or quarter resolution from 3820x2160 sensor, for different shadow and highlight exposures) and merge them into one 1920x1080 file. The camera processors are getting faster each year and some cameras combine two or even three processors together. 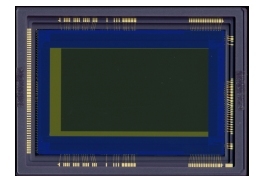 And there are some more expensive cameras today which can do 60p at high resolution, I do not know exactly, but C500, FS700, Epic, F5, F55 are some examples, and I believe they can do this new 3840x2160 60p sensor for affordable DSLR. I hope they don't cripple it by restricting its shutter duration to fast speeds only. Having a very sensitive shutter is good. Having a mount and camera that can track and guide is better. The main goal is low light, so I believe they will allow shutter speed as low as 1/4 second for special purpose cameras. Or the default 1/30 second as all Canon dslr can do. But maybe they will release just 50i or 60i security and/or astro cameras and not progressive cinema cameras, so shutter will be 1/50 or 1/60, which is average good also. Will need deinterlace to become progressive. I believe the "cripple" will happens in the price point for cinema cameras, I hope they do not charge 20.000 usd or more for a progressive camera with this sensor! For Astro Photography it will need at least 1/4 of a second to be useful. Even image intensifiers won't show the really dark stuff in much less than that. So would it be three versions? Maybe they will add 30p for astro cameras, but not 24p and 60p.